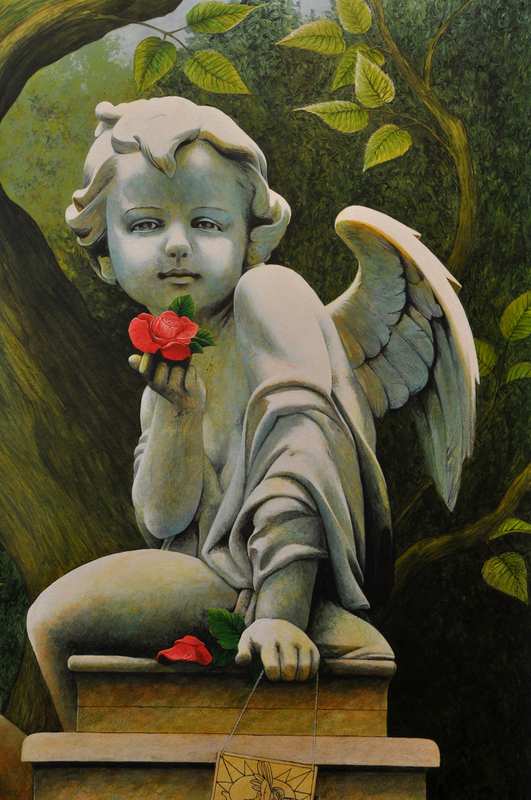 I have painted many murals, special interior paint-effects, and fine art wall paintings. 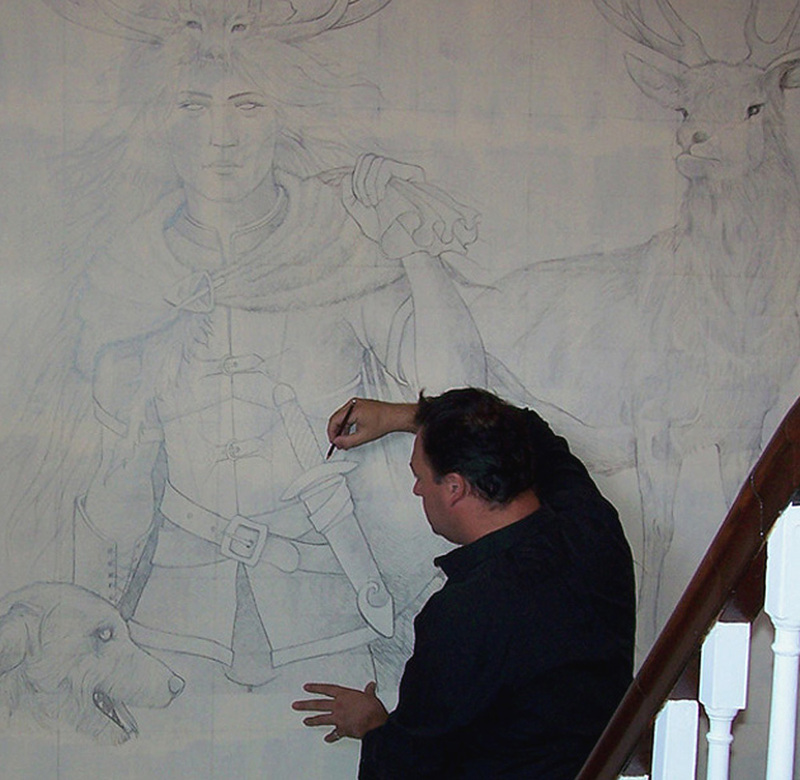 I began mural painting in 1995 after I left Art College; so I am approaching twenty-five years of experience. I consider a mural to be a full wall that is painted from floor to ceiling. Wall Paintings are smaller areas; like an image or detail on a wall. Special paint-effects can be anything from some stencilled foliage around a door frame; or a trompe l oeil illusion like a window, bookcase, or even a ladybird that isn't really there. Here on this page are some samples from recent years. 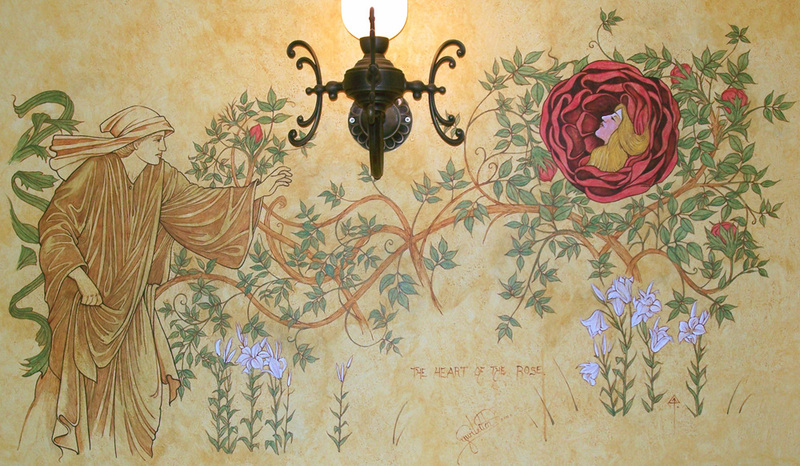 The Heart of the Rose, wall painting in the Dining Room of the George & Pilgrim Hotel, Glastonbury, painted in 2006. 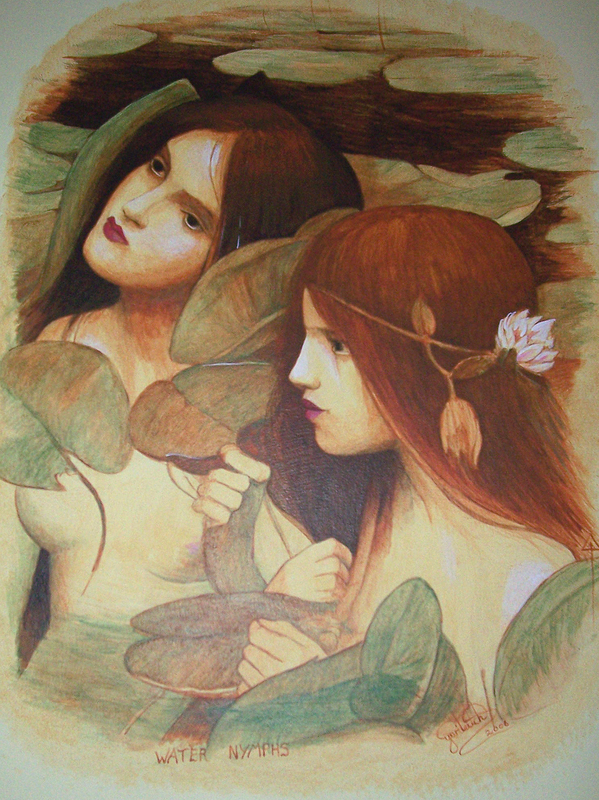 Water Nymphs, in the Dining Room of the George & Pilgrim Hotel, Glastonbury, painted in 2006. Everything is drawn in pencil first and this can be very time consuming. 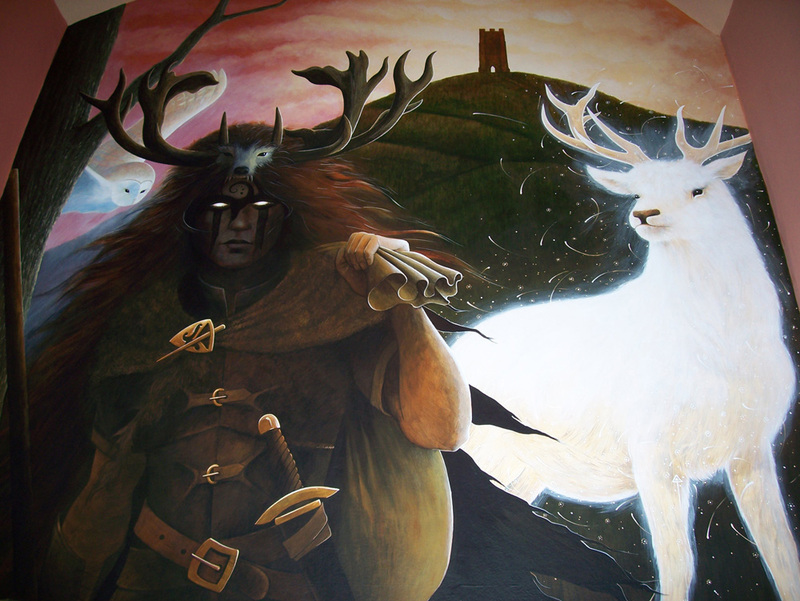 Gwyn ap Nudd, White Hart, and Tor; at the Covenstead witchcraft-themed B&B, Glastonbury, circa 2012. Eros, a detail from the Covenstead murals, circa 2014. 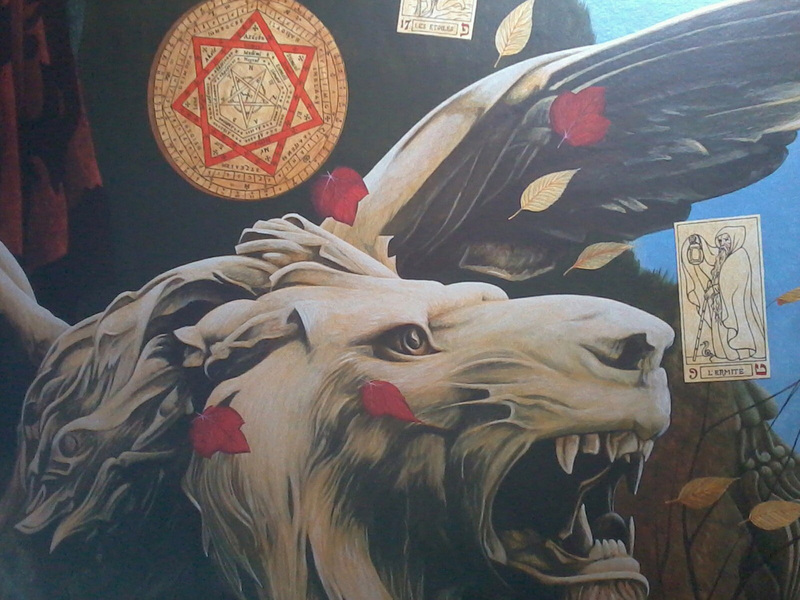 Lion statue, detail from the Covenstead mural, Glastonbury, circa 2015. Even a plain red brick wall can be turned into art... although the surface is very uneven and tricky. 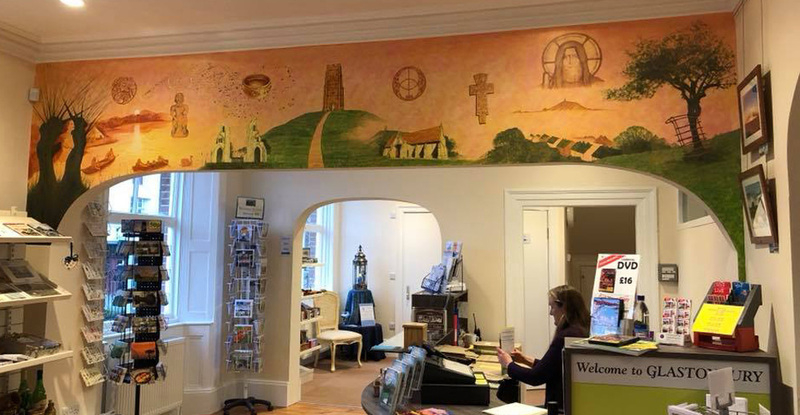 Reception area of the Glastonbury Information Centre, 2017. 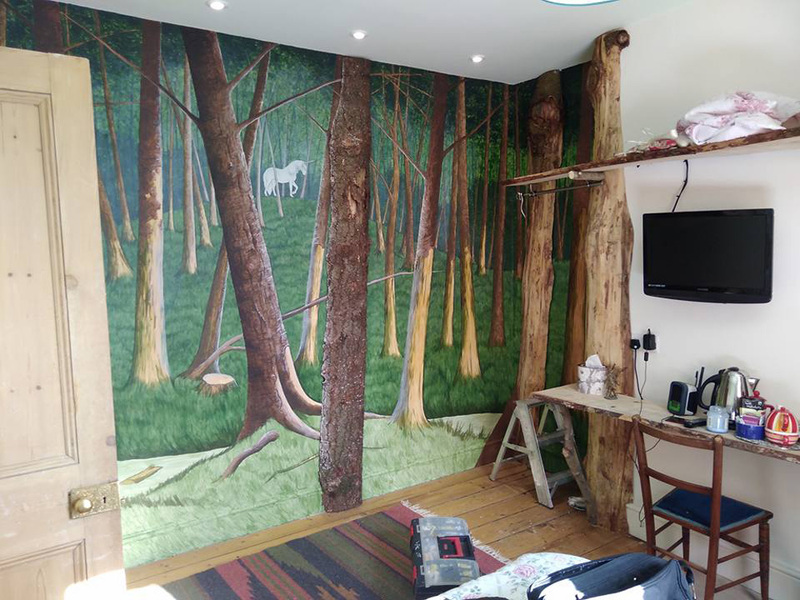 Woodland bedroom in progress... The Apple Fairy B&B, Glastonbury, 2018. 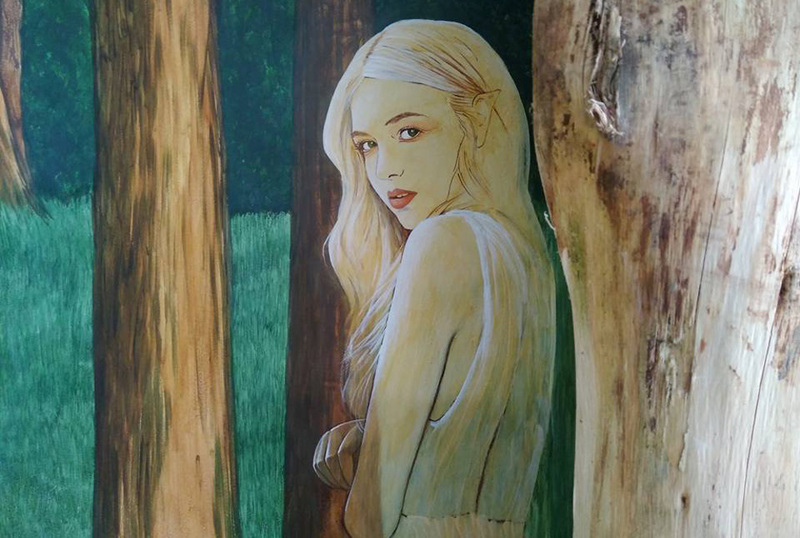 Woodland fairy in progress at the Apple Fairy B&B, Glastonbury, 2018. 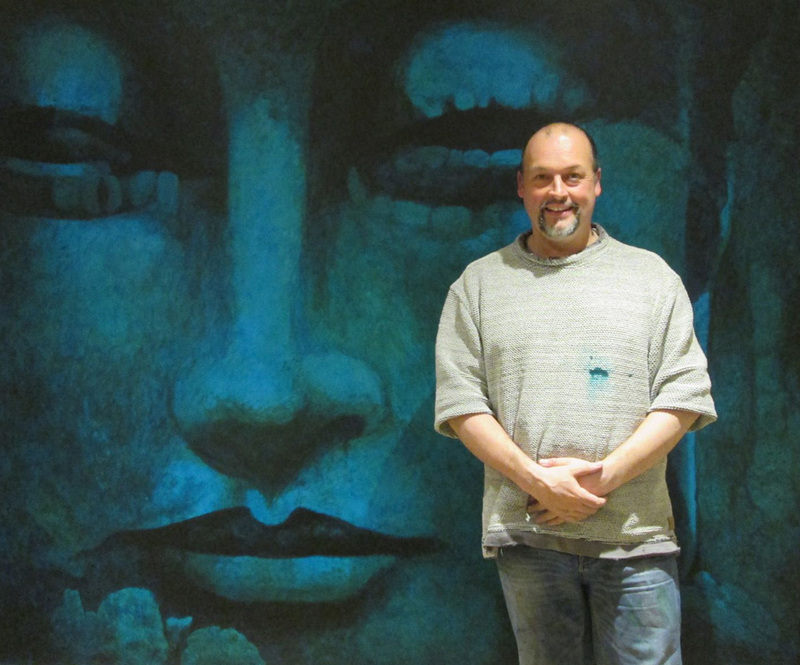 Blue Buddha, wall painting at the Universal Marina, Southampton, painted in 2015.